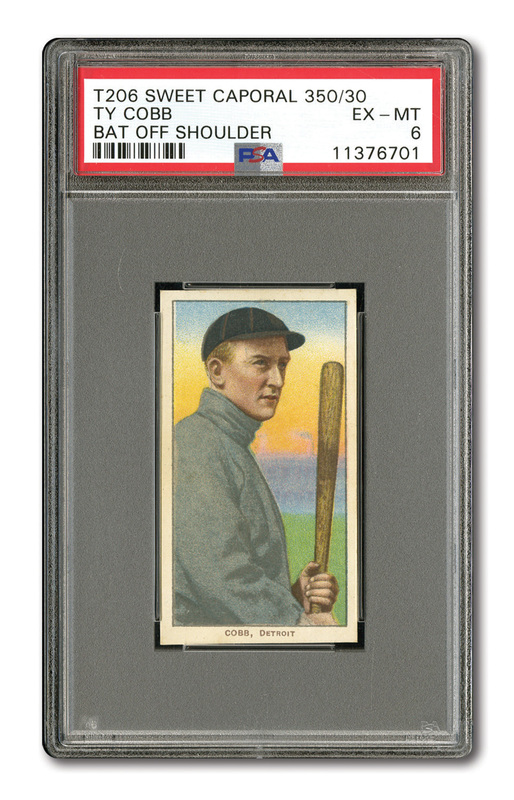 This "Bat Off Shoulder" variety of Ty Cobb, with its detailed pose of the great Hall of Famer and its phenomenal palette of background hues, is one of the most colorful and aesthetically gratifying of all T206 subjects. The offered example is a mini-masterpiece that promises tremendous visual enhancement for any high-grade collection. Its centering is precise, and its balanced, clean white borders harmonize with the card's beautiful design to afford tremendous overall eye appeal. The corners are commendably sharp in appearance, and traces of faint, unobtrusive wear are the only imaginable justification for withholding a higher grade. 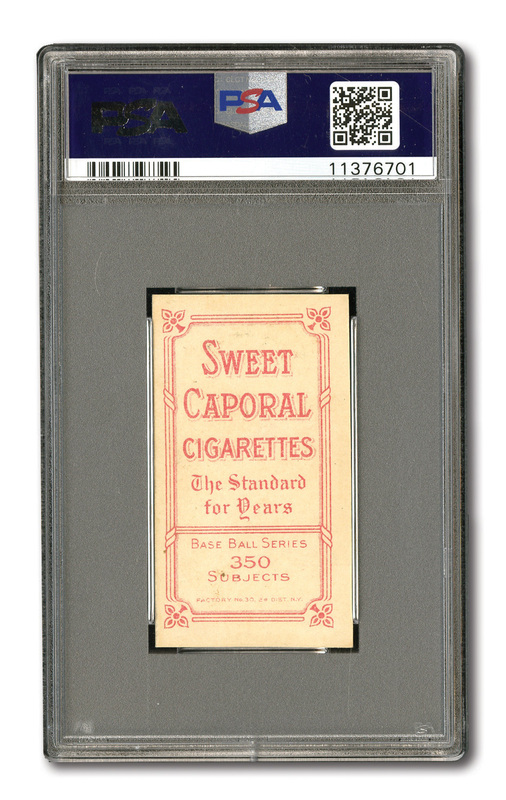 The card's Sweet Caporal 350/30 ad back is bright fairly clean and boldly printed. Although it has been graded EX-MT 6 by PSA, nobody would question the appearance of this card under a label bearing a higher grade.